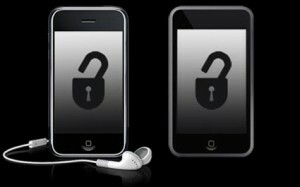 Unlock your iPhone 3g Firmware 3.0 with ultrasn0w! Ok this is a quick and simple one… Follow yesterdays post for jailbreaking and then you can move on…. Please add the repo repo666.ultrasn0w.com to Cydia or Icy. That last “o” is actually the number zero “0”! If you use the letter “o” you’ll get an error. Thats all there is to it! Now one minor issue I noticed. The phone may drop signal and regain it for the first 5min or so after unlocking. After that everything will work like it should. iPhone 3g Turbo Sim unlock for under $10! Ok so I bought a turbosim off of ebay for $8.20 [link] and it got here today. Speedy shipping so that made me happy. Once I got it within 2min of sitting at my desk I was recording a video and testing the card out. Now I have had it working for a few hours and all seems to be well so far so I am calling it a success. BE SURE TO READ THE INSTRUCTIONS WHEN YOU GO TO INSTALL IT FAILURE TO DO SO MAY CAUSE YOUR PHONE NOT TO WORK AND YOU WILL HAVE TO TRY AGAIN! WE ARE NOT RESPONSIBLE FOR ANY DAMANGE TO YOUR DEVICE IF YOU BREAK IT THEN YOU ARE ON YOUR OWN. Here is the video of me opening and installing the turbosim.